Treat yourself (& your home) with stylish, stunning farm fresh flowers. Delivered on repeat. It’s so important to seek beauty and prioritise your own joy, even for a few moments every day! It’s too easy to get swept up in the grind of life and forget what it’s all about. Filling your home with flowers is the simplest path to joy, and the easiest way to fill your space with uplifting colour and energy. We make it easy for you to make a habit out of surprising yourself with something beautiful and creative. It’s like a little gift for yourself and your home. Nothing lifts your home, your mood, or your day, like being around fresh flowers! So we created Bouquetbox to make it easy to deliver a little beauty in the form of beautiful subscription flower bouquets to any home or business across Ireland. Choose a frequency that suits you (remember, you can cancel at any time!) and let us deliver the freshest, most amazing in-season flowers right to your door allowing you to make your space in the world and life simply beautiful. 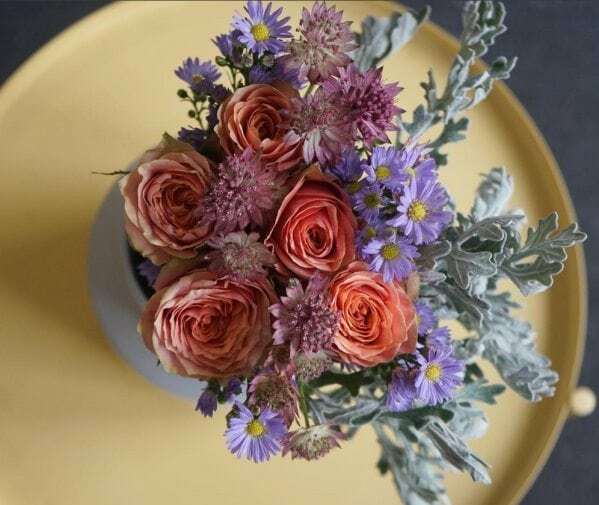 We team up with flower growers right around the world to bring you seasonal grown flowers, with minimal waste and a low environmental footprint. Because we understand for true flower lovers, it’s more about the whole experience – than just the touchable end product. Each bouquet is just €20 including delivery. Some of our subscribers are creative, bloom loving women from all walks of life – but what unites them all is that they understand the value of seeking beauty in the every day, and doing it in a way that feels good. Why not join our growing family of subscribers! Sign Up today so you can start filling your life & your home with beautiful blooms.